On March 15, 2019, Raytheon Australia and Kongsberg Defence & Aerospace (KONGSBERG) joined Defence Minister, the Hon. Christopher Pyne and South Australian Premier, the Hon. 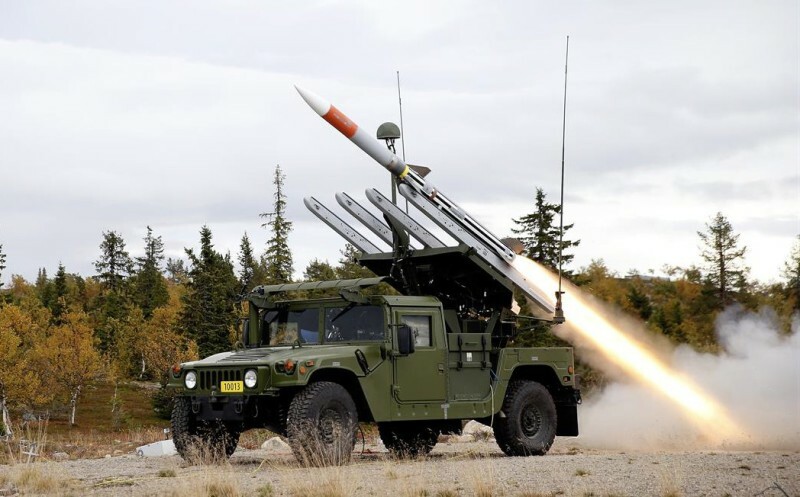 Steven Marshall, to announce that the National Advanced Surface to Air Missile System, NASAMS, was selected for the Australian Government’s Short Range Ground Based Air Defence program known as LAND19 Phase 7B. KONGSBERG is a subcontractor to Raytheon Australia. «This announcement lays the foundation for further expansion in Australia and the region. KONGSBERG sees more significant opportunities in Australia and have been a partner to the Australian Defence Force for 30 years starting with the Penguin anti-ship missile program. We opened an office in Canberra last year and is increasing our staff in the country», says Eirik Lie, President Kongsberg Defence & Aerospace AS. «NASAMS is the most sold air defence system in its class in the last 10 years. Its continuous evolution enables new capabilities to be implemented in the system», says Kjetil Reiten Myhra, Executive Vice President Kongsberg Defence & Aerospace AS. 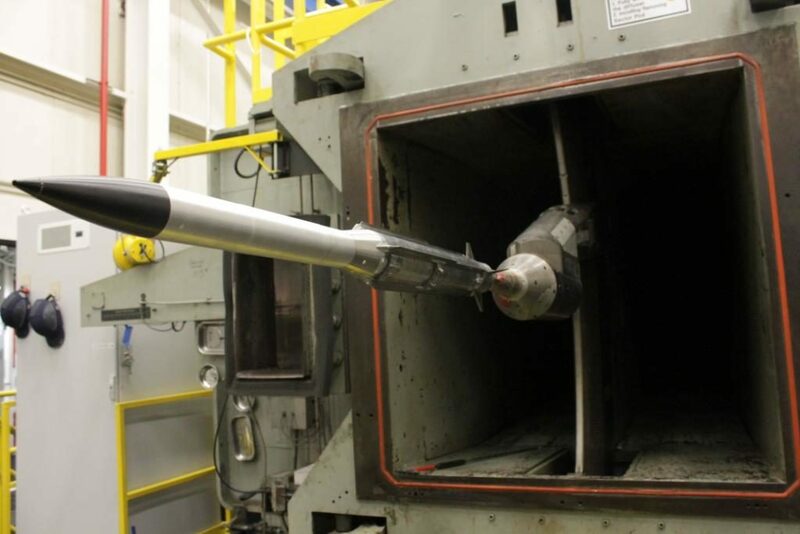 Raytheon Company successfully completed more than 1,700 rigorous wind tunnel tests on the newest, extended-range variant of the combat-proven Advanced Medium-Range Air-to-Air Missile (AMRAAM). Testing is a major step in the missile’s qualification for integration with the National Advanced Surface-to-Air Missile System (NASAMS). The AMRAAM-Extended Range (AMRAAM-ER) missile is a ground-launched weapon that will intercept targets at longer distances and higher altitudes. The missile’s bigger rocket motor and smarter flight control algorithms give it a boost in range. «During these tests, we put AMRAAM-ER through a full range of potential flight conditions to validate the missile’s future performance on the battlefield», said Kim Ernzen, Raytheon Air Warfare Systems vice president. «Raytheon is developing this missile to enhance ground-based air defense for our customers worldwide». Raytheon Company, with 2018 sales of $27 billion and 67,000 employees, is a technology and innovation leader specializing in defense, civil government and cybersecurity solutions. With a history of innovation spanning 97 years, Raytheon provides state-of-the-art electronics, mission systems integration, Command, Control, Communications, Computers, Cyber and Intelligence (C5I) products and services, sensing, effects and mission support for customers in more than 80 countries. On October 26, 2017, KONGSBERG has signed a contract worth 109 MEURO (approx. 1.000 MNOK) with the Ministry of National Defence of the Republic of Lithuania to supply a NASAMS air defence system. Lithuania announced 21 October 2016 an agreement with the Norwegian Ministry of Defence on procurement of NASAMS components; today’s contract includes new additional equipment, training and integrated logistics support package, as well as refurbishment and integration of government supplied components for a complete NASAMS system. «We are pleased that the Lithuanian Armed Forces has chosen NASAMS. 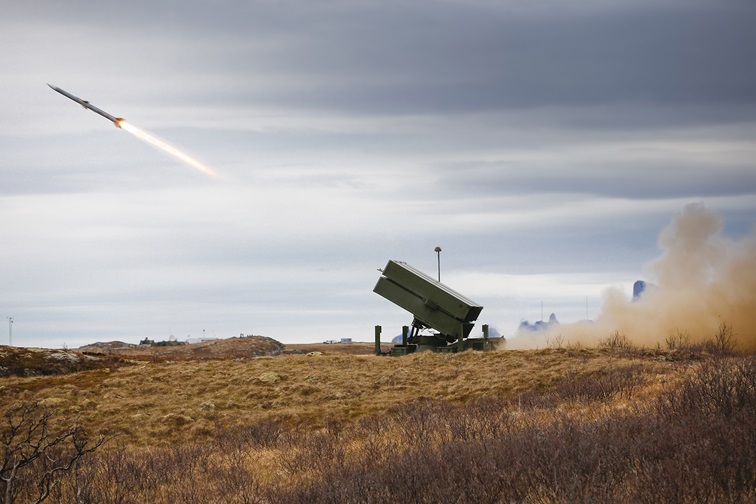 NASAMS, produced by KONGSBERG and Raytheon, is the most sold air defence system in NATO in recent years, and will be the backbone air defence system for many nations in decades to come», says Eirik Lie, President, Kongsberg Defence & Aerospace AS. 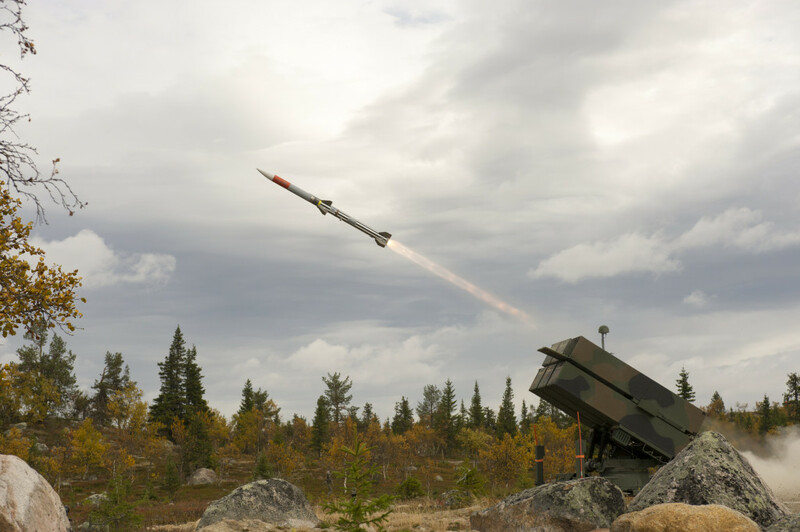 KONGSBERG, in partnership with Raytheon, is offering one of the most modern and flexible medium-range air defence systems in the world: NASAMS – Surface Launched AMRAAM System. Unlike many international air defense systems either in use or in development, NASAMS is truly a netted and distributed system. The proven, fielded, reliable and highly capable NASAMS system contains a BMC4I (Battle Management, Command, Control, Computers, Communications, and Intelligence) Air Defense capability through the integration of sensors and launchers. It employs the Advanced Medium Range Air-to-Air Missile (AIM-120) as the primary weapon. Targets are detected and tracked by a high-resolution, 3D pencil beam radar. Multiple of these radars and the associated Fire Distribution Centres (FDCs) are netted together via radio data links, creating a real-time recognized air picture. NASAMS can fire on target data provided by external sensors. Advanced emission control features of the radars minimize the risk of revealing the NASAMS unit’s own position. The FDC automatically performs track correlation, identification, jam strobe triangulation, threat evaluation and weapon assignment. The AMRAAM missiles used within NASAMS are identical to those used on fighter aircraft, yielding considerable rationalization returns for the user. The Royal Norwegian Air Force (RNoAF) was the first customer to introduce the NASAMS (Norwegian Advanced Surface-to-Air Missile System) program. Because of their success during NATO live flying exercises, NASAMS batteries are taken extremely serious by NATO aircrew. From 2004, NASAMS is earmarked by the Norwegian armed forces to be deployed in support of international crisis management operations. NASAMS is under continuous development and every new program is adapted to the latest available technology. Currently, NASAMS is in use in 6 different nations. «A modern and integrated ground-based air defence system is needed to protect our deployed forces from increasingly sophisticated air threats, both globally and within our region», said Minister Payne. «Australia’s current short-range capability is 30 years old and due to be retired early next decade. The replacement system will provide improved protection for our deployed servicemen and women». Minister for Defence Industry, the Hon Christopher Pyne MP, said the project would seek to maximize Australian industry content to ensure our defence dollar helps deliver local jobs and economic growth. «Through a Risk Mitigation Contract, the Government will ensure there are opportunities for Australian industry participation, with direct access to Raytheon Australia for local businesses to showcase their abilities», Mr. Pyne said. «As part of this contract Raytheon will hold workshops across the country to engage with local industry, giving them an opportunity to be part of the supply chain for this project worth up to $2 billion. Defence will collaborate with Raytheon Australia and Canberra-based CEA Technologies to look at integrating the Canberra-based firm’s radar into an upgraded NASAMS. CEA Technologies’ ground breaking phased array radar system has already been incorporated into Australia’s ANZAC class frigates and this project will trial the technology in a land-based role». 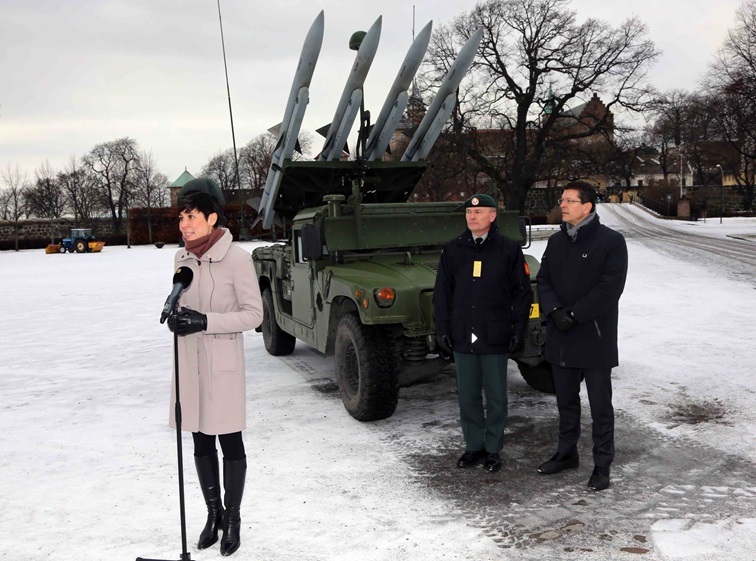 During a press meeting on 06 February, 2017 Minister of Defence Ine Eriksen Søreide announced the decision to conduct the project for providing the Army a Mobile Ground Based Air Defence System in a direct acquisition with KONGSBERG. The Norwegian Defence Materiel Agency will initiate the acquisition process with KONGSBERG to define the final configuration and system solution before the delivery contract is signed. The deliveries are planned for 2018 to 2021. Army Ground Based Air Defence is a highly mobile, short-range air defence system based on some existing elements in today’s structure in combination with the acquisition of some new elements. The system will reuse National Advanced Surface to Air Missile System (NASAMS) command and control and its unique network solutions. 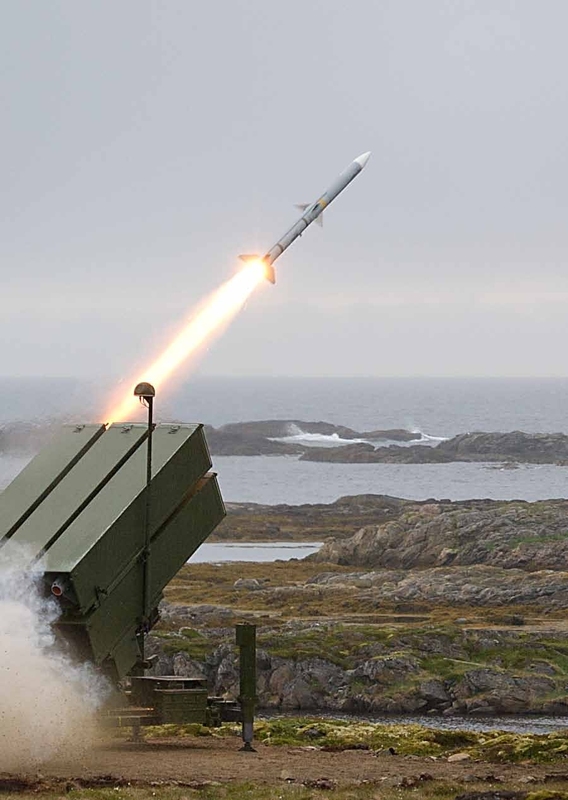 KONGSBERG has been a supplier of air defence solutions to the Norwegian armed forces through several decades, from canon and gun systems to today’s modern NASAMS. NASAMS has also been the foundation for significant competence developments and spin-off’s to other technology areas. The Army Mobile Ground Based Air Defence system will be a world leading solution with unique capabilities to combat modern airborne threats, as well as having the ability to integrate with networks with other sensors and weapons. «NASAMS is a very important product for KONGSBERG and one of the most successful internationally. We are very pleased to be have been chosen as supplier for the Army Mobile Ground Based Air Defence. 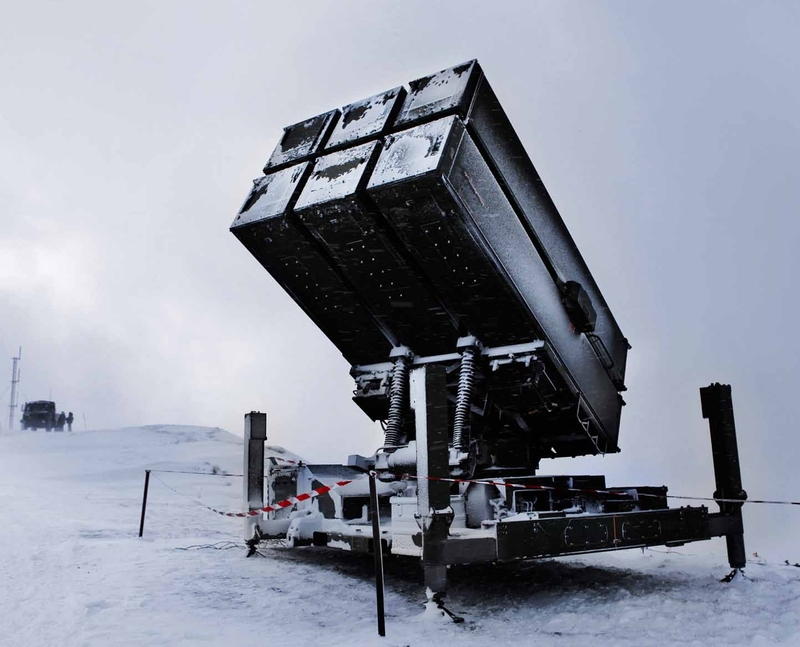 This will add further capabilities to the Norwegian air defence community, and secure jobs in Kongsberg and for a large number of subcontractors throughout Norway», says Eirik Lie, President of Kongsberg Defence Systems. Raytheon Company has begun development on an extended range variant of the combat-proven Advanced Medium Range Air to Air Missile (AMRAAM). Designed specifically for ground-based air defense, AMRAAM-ER will enable intercepts at longer range and higher altitudes (Source: Raytheon Company). «With AMRAAM-ER, Raytheon is rewriting the book on ground-based air defense. The new missile will be even faster and more maneuverable than the current AMRAAM», said Mike Jarrett, Raytheon vice president of Air Warfare Systems. «By leveraging many existing AMRAAM components, Raytheon can deliver AMRAAM-ER quickly and affordably with very low risk». 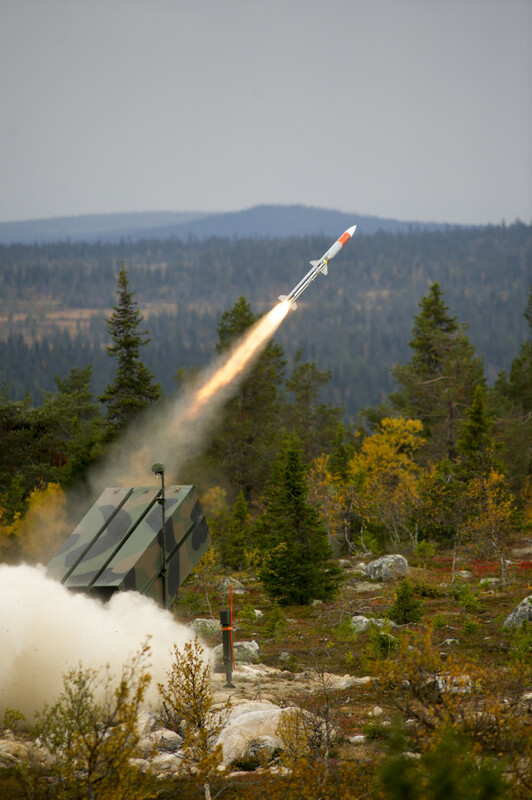 Raytheon will integrate AMRAAM-ER into the NASAMS (Norwegian Advanced Surface to Air Missile System) launcher. NASAMS is the latest and most modern Medium Range Air Defense system. In partnership with Kongsberg, Raytheon has delivered more than 70 fire units to seven countries. It is the most commonly used Short and Medium Range Air Defense System in NATO. «Combined with the NASAMS launcher, AMRAAM-ER will provide a new level of protection to customers», said Ralph Acaba, vice president of Integrated Air and Missile Defense at Raytheon’s Integrated Defense Systems business. «NASAMS is one of the most easily manned, trained, and maintained systems in the world». 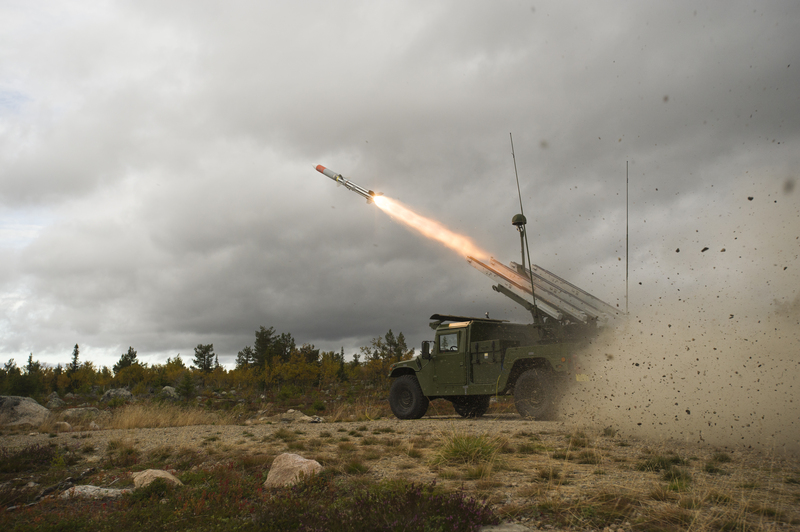 Fielded in Norway for more than a decade, NASAMS is operationally deployed in the U.S. National Capital Region, Spain, Finland, the Netherlands, and an undisclosed country. It is also in production for Oman under a contract received last year. Raytheon plans to flight test AMRAAM-ER before the end of the year. The AMRAAM is a versatile and proven weapon with operational flexibility in a wide variety of scenarios, including air-to-air and surface-launch engagements. In the surface launch role, AMRAAM is the baseline weapon on the NASAMS launcher. Kongsberg Defence & Aerospace and the Polish Ministry of National Defence have signed a contract worth $173.5 million for a second battalion-sized Nadbrzezny Dywizjon Rakietowy (NDR) unit of the Naval Strike Missile (NSM) Coastal Defence System, reported Doug Richardson, IHS Jane’s Missiles & Rockets correspondent. NSM was originally developed as a shipboard system for the Royal Norwegian Navy (RNN), and entered service on Norway’s new Fridtjof Nansen-class frigates and Skjold-class corvettes in 2012. An earlier contract signed by Poland in 2008 covered the 6 launchers and 12 missiles needed to arm the first NDR, and deliveries started in mid-2013. This order made Poland the first export customer for the shore-based version. An additional 38 missiles and associated logistics equipment were ordered in December 2008. A second NDR had always been planned, but in April 2014, Poland decided to speed its procurement as part of the country’s reaction to the current crisis in Ukraine. The coast-defence variant uses command and weapon control system similar to that of the Kongsberg/Raytheon Norwegian Advanced Surface-to-Air Missile System (NASAMS), while its radar system and communications system are provided by Polish subcontractors, as are the trucks used to carry the missile launchers. The new contract will also cover the setting-up of a capability to maintain the NSM system in Poland. This will involve the Polish company Wojskowe Zaklady Elektroniczne (WZE). Kongsberg also plans to expand its co-operation with Polish industry to cover what Kongsberg president Harald Ånnestad described as «a broader technological arena». High value asset defense, area and army defense, vital point and air base defense. 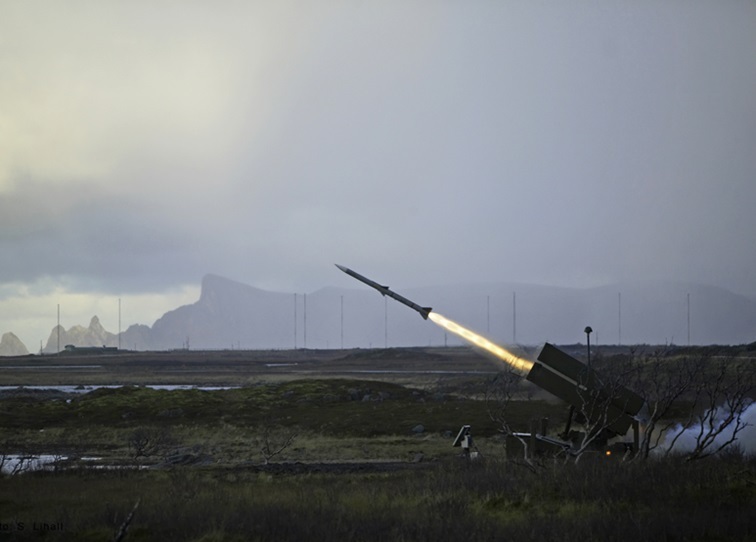 The Royal Norwegian Air Force (RNoAF) was the first customer to introduce the NASAMS program. Because of their success during NATO live flying exercises, NASAMS batteries are taken extremely serious by NATO aircrew. 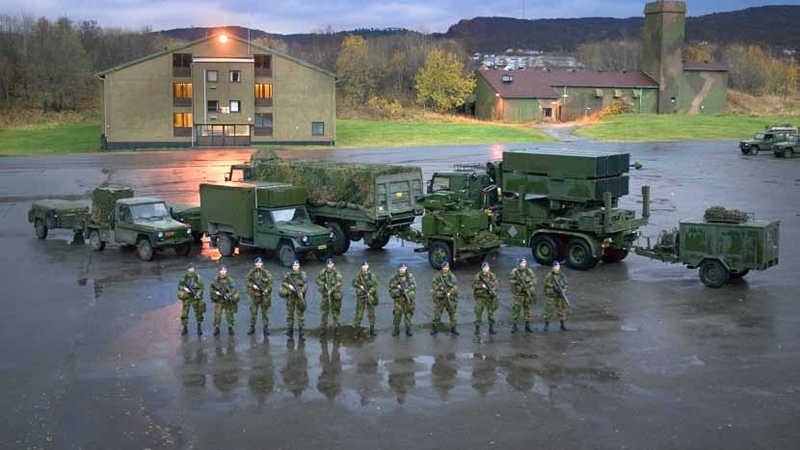 From 2004, NASAMS is earmarked by the Norwegian armed forces to be deployed in support of international crisis management operations. NASAMS is under continuous development and every new program is adapted to the latest available technology. Currently, NASAMS is in use in 6 different nations.